NEW DELHI: Fujifilm is one of the oldest camera brands in the market. Taking on rival companies like Canon and Nikon, the Japanese technology company has launched another product offering for the premium DSLR camera segment, X-H1. Being the first in the X-series to include 5-axis 5.5 stops in-body image stabilisation (IBIS) along with the new ETERNA Film Simulation feature, the X-H1’s body will cost you Rs 149,999 and Rs 1,72,999 if bought along with the battery grip. Fujifilm says that the camera is also compatible with some of the lenses such as the MKX18-55mmT2.9and MKX50-135mmT2.9 professional cinema lenses that are scheduled to launch in May this year. The Japanese multinational is marketing X-H1 for its 5-axis 5.5-stops inbuilt image stabilization tech, which is claimed to deliver the sharpest images of a moving object. The camera is said to have a durable body with water and dust resistance, making it ideal to capture shots in most of the situations. Another feature touted for the camera is ETERNA, a film simulation for those who are in to shooting movies. 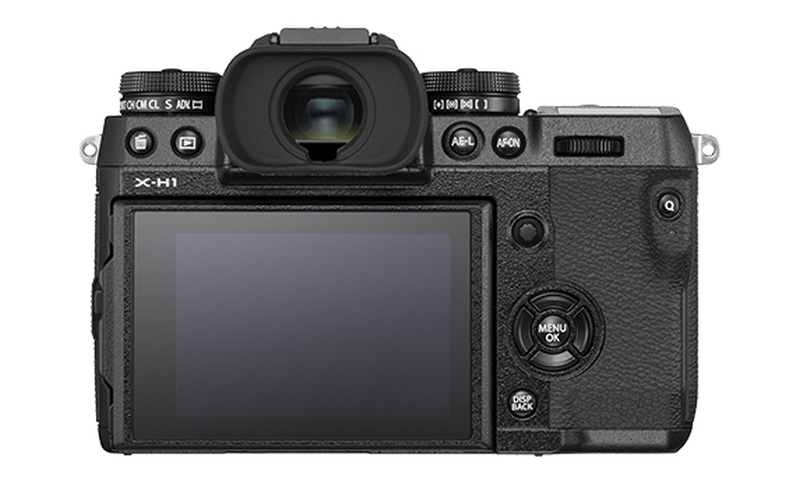 Fujifilm X-H1 has a 24MP CMOS III (APS-C) X-Trans sensor with primary color filter and the ISO ranging from 100 to 51200. There is a 0.5 inch OLED viewfinder with 100% coverage of viewing area vs. capturing area. In addition to this the camera features a 3-inch LCD screen with 3:2 aspect ratio. It can shoot up to 14 frames per second in continuous shooting mode and can capture 4K footage at 30fps. You can also capture 4K video in 24fps and 25fps up to 15 minutes. With Bluetooth v4.0 and Wi-Fi 802.11 b/a/n in tow, the camera has a weight of around 673 grams including battery and memory card.